Skylights are a welcome addition to practically any home, offering several benefits. These can dramatically transform the look of a home by letting ample light into a dark room and providing warmth and ventilation. 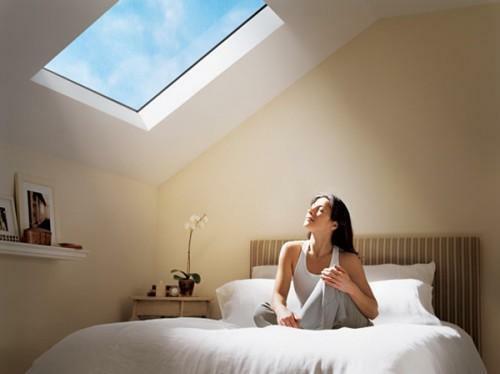 Placed strategically in a house, skylights can also help decrease energy expenditure. If you are keen on adding skylights in your home, here are some important tips to help you make the best choice. Skylights, also called roof windows, can be broadly classified into three types: ventilating skylights, fixed skylights and tubular skylights. Ventilating skylights are often placed in baths and kitchens, letting natural light in while providing ventilation. These skylights can be operated using temperature sensors, remote controls, wall switches, and manual or motorised hand cranks. Fixed skylights are typically installed in attics, bonus rooms or any other area in the house that can benefit from extra illumination like the garage or workshop. These roof windows are also perfect for areas which have good views. These skylights are available in various sizes. Tubular skylights are typically used in areas in the home where the other two skylights cannot be installed like hallways and bathrooms. Although these are smaller in size, they can let a substantial amount of light into the home. Depending on your needs, you may look for the following features from the skylight you intend to buy. These include insulated thermal glass, tinting filters, shades or blinds and insect screens. Before shopping for a new skylight, make sure to know the type of roof you have in your home. This, along with the roof thickness, is an important consideration in determining the mounting and flashing requirements. If your home uses thin roofs like fibreglass and asphalt, you will need either self-flashing or curb mount. If your home uses thicker roofs like clay, slate or wood shakes, you'll need built-up curb and flashing. Self-flashing refers to the part of the skylight that is pre-fabricated. Here, the skylight is installed directly to the roof. Curb-mount, on the other hand, is fabricated on-site, factoring in both the thickness of the roof and window. The skylight is mounted on the curbing instead of the roof. Ceiling type determines whether a shaft is required. For regular ceilings, straight or flared shafts will do. Here, you will need to create and frame two holes for both ceiling and roof. If your home has cathedral ceilings, you will only need one hole. If you plan to install the skylight by yourself, make sure to get the measurements correctly to avoid errors. Make sure to check if there are any wires in the area the skylight will be installed in. Monitor the weather a few days ahead of the installation. Enlist the help of a neighbour or friend.